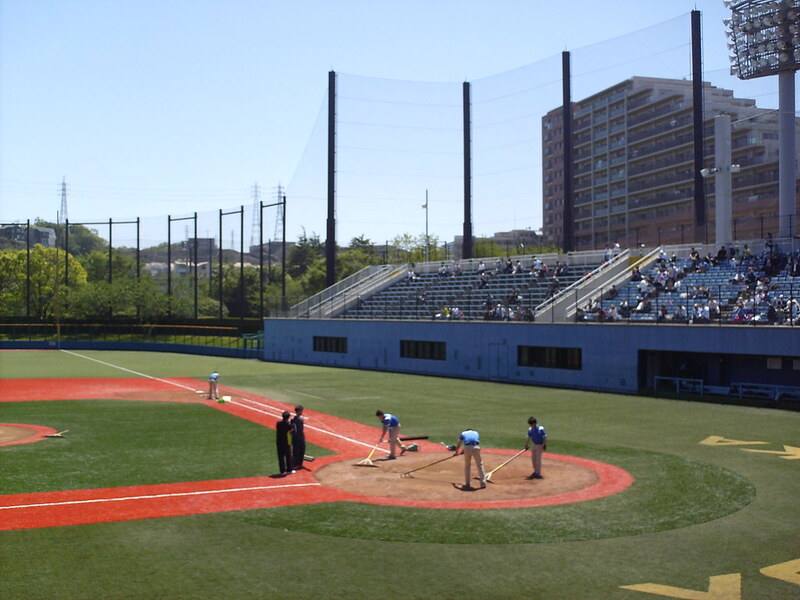 The view from behind home plate at Yokosuka Stadium. 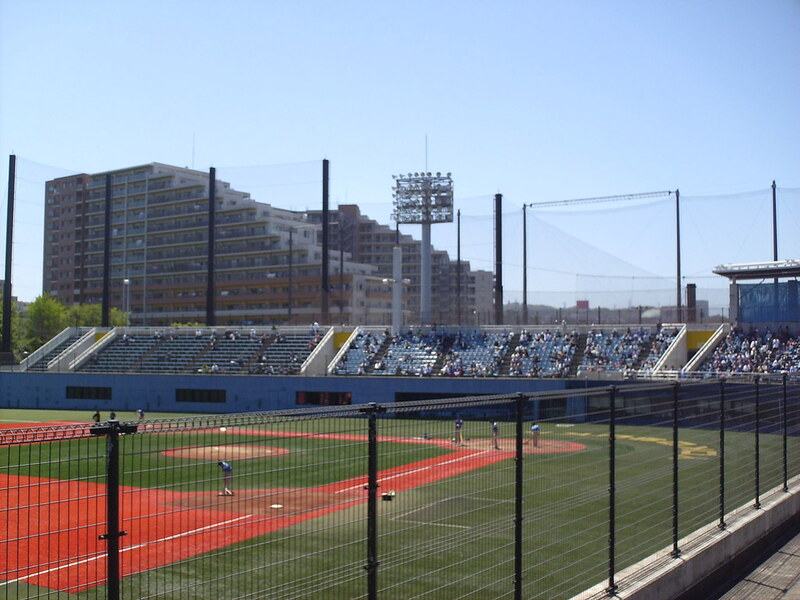 The grandstand at Yokosuka Stadium, as seen from the left field corner. 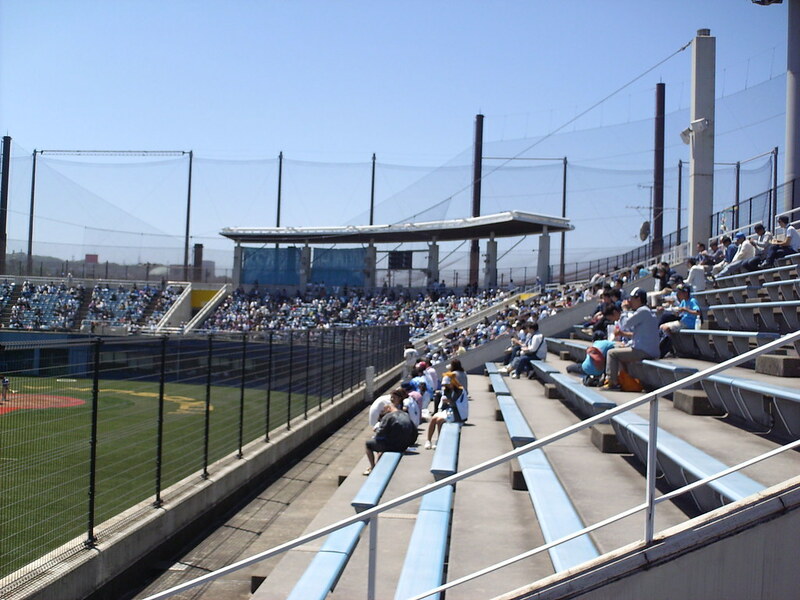 The pressbox sits at field level behind home plate, rather than at the top of the grandstand. 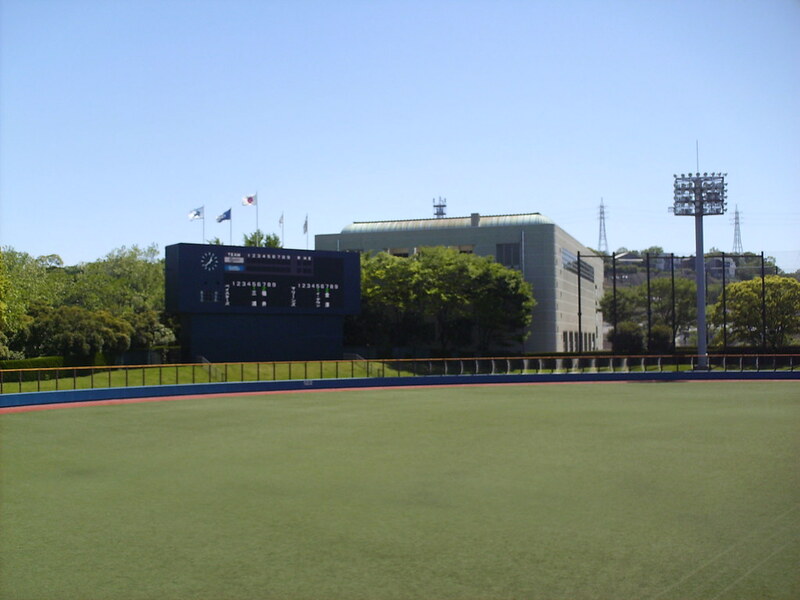 A small auxiliary scoreboard sits at the top of the seating bowl, where the pressbox would normally sit. 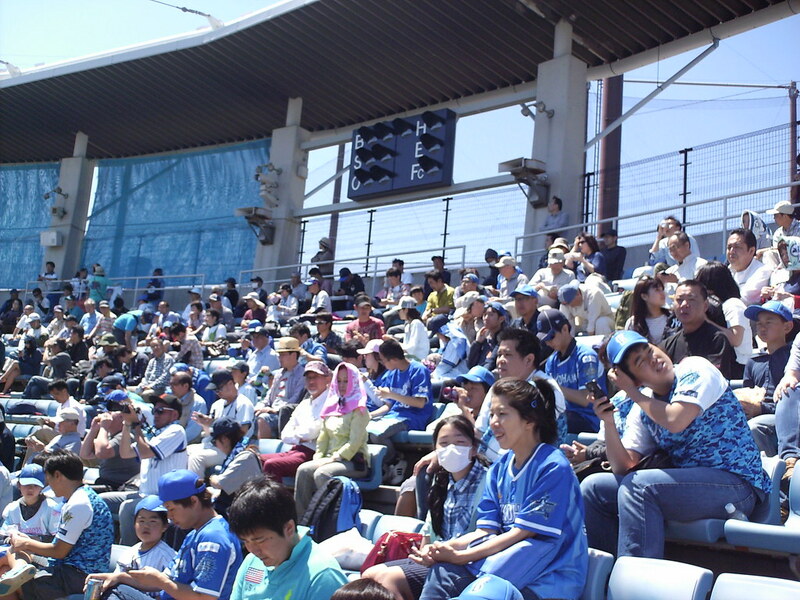 The seating at Yokosuka Stadium is mostly molded blue plastic seating, with bleachers making up the last few sections at each end of the grandstand. 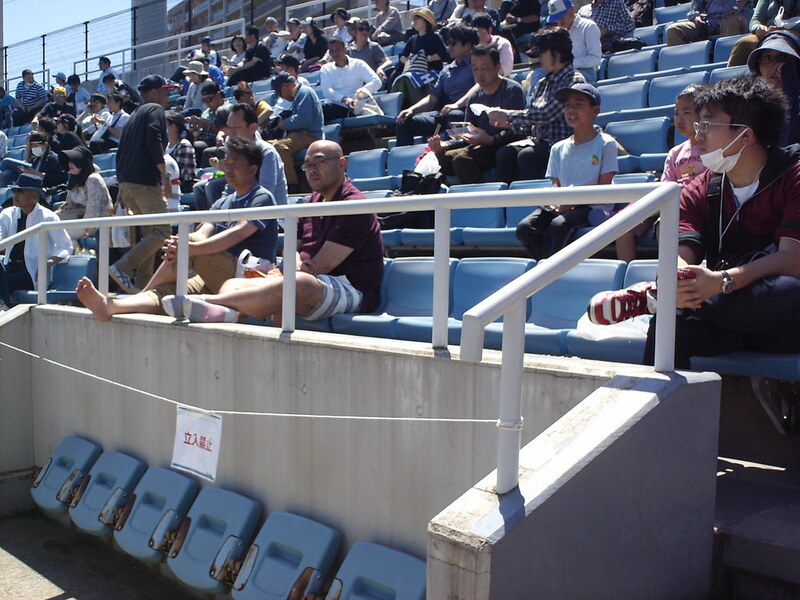 Seating along the aisle way can be folded up when not in use. 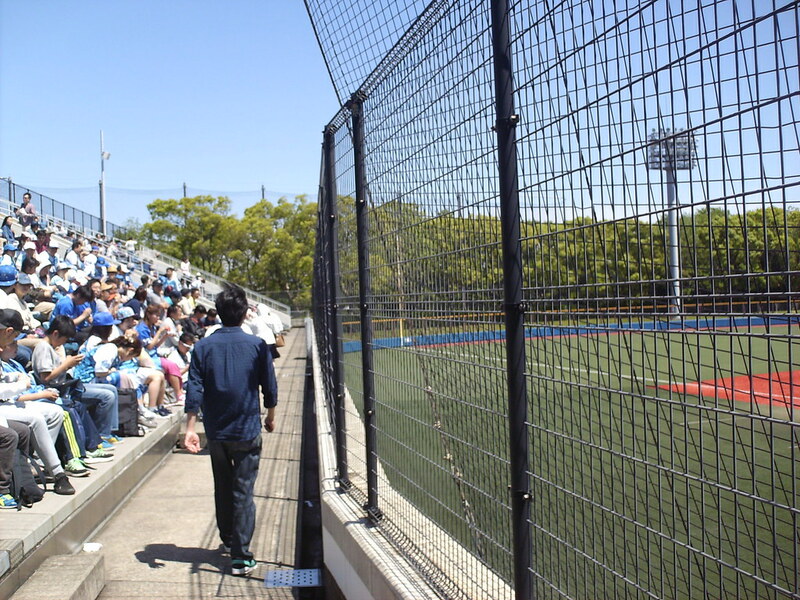 A metal fence runs the length of the grandstand, with netting behind home plate providing further protection. 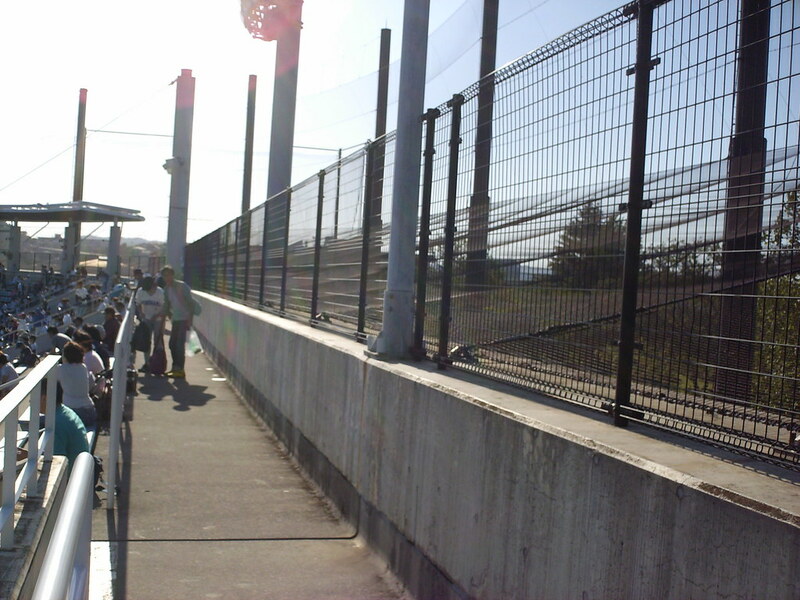 Fences and netting also ring the upper concourse, protecting the streets nearby from foul balls. 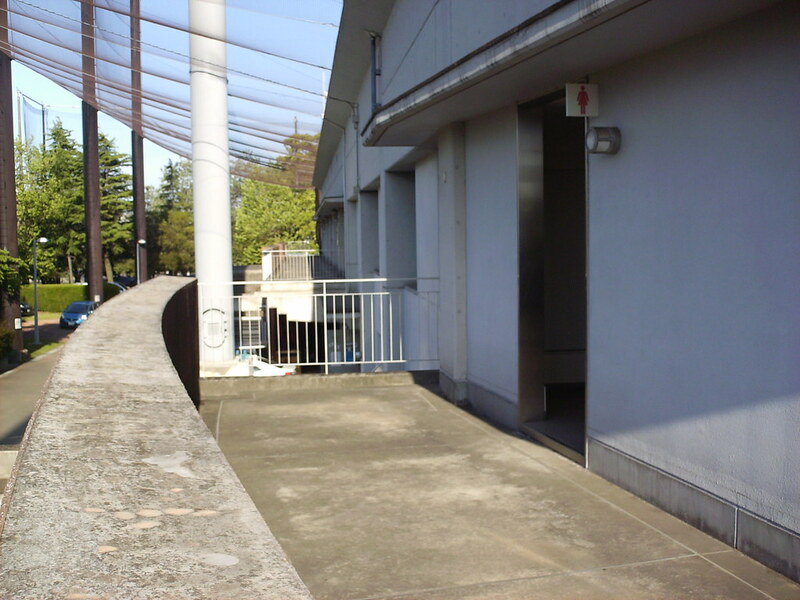 The exits from the seating bowl are not connected to one big outer concourse, but each lead to their own balcony and staircase. 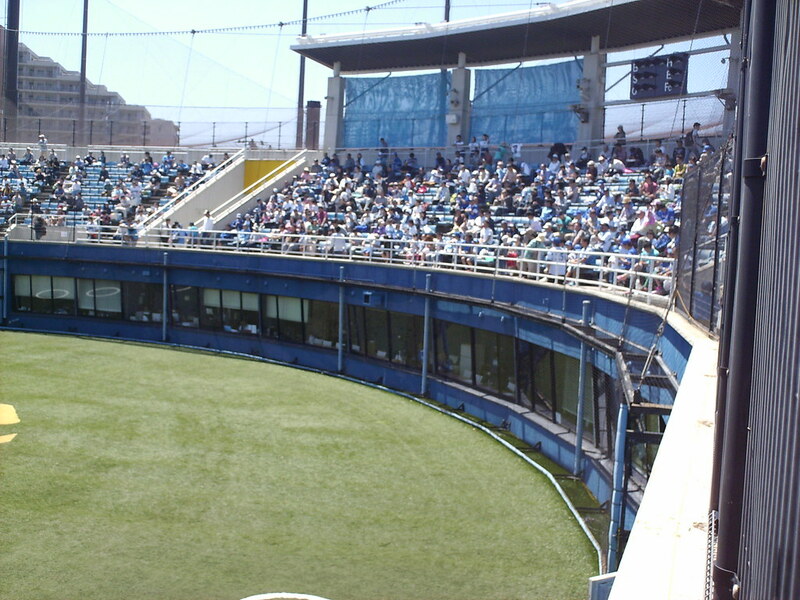 The clubhouses and bullpens are located underneath the grandstand, with windows looking out onto the field. 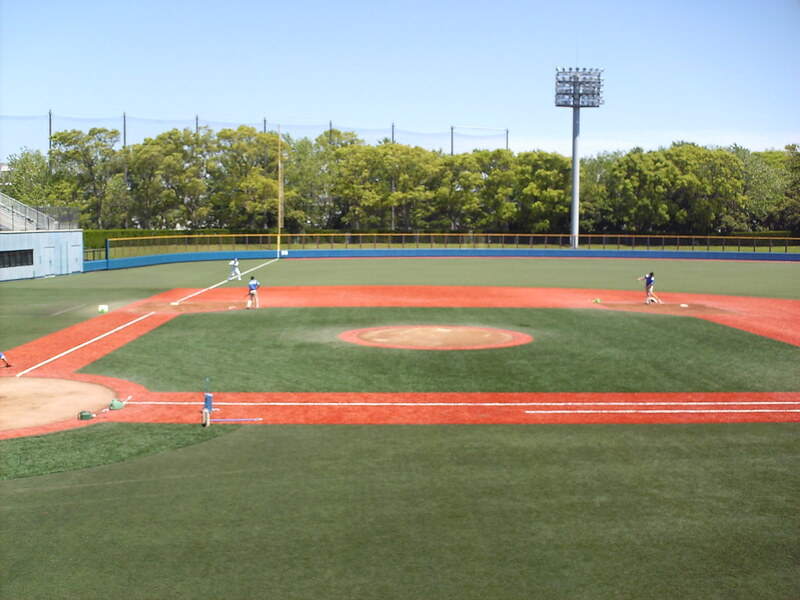 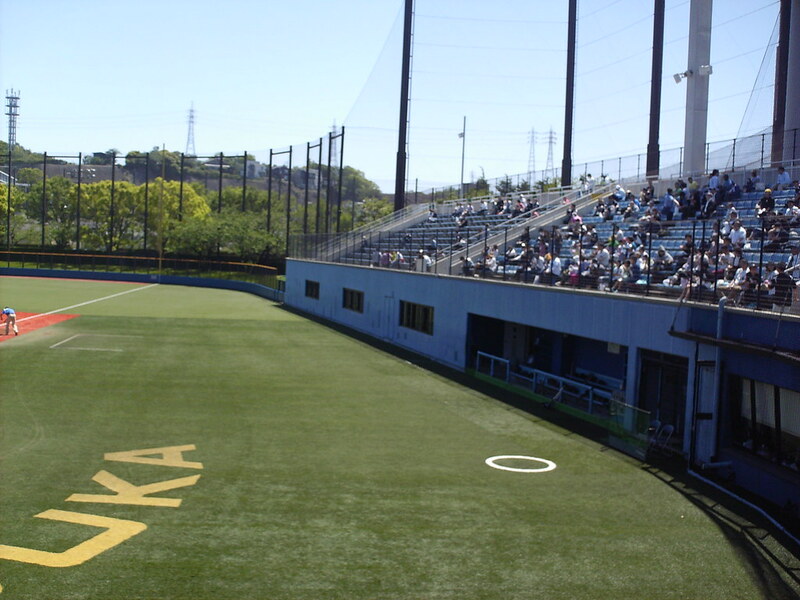 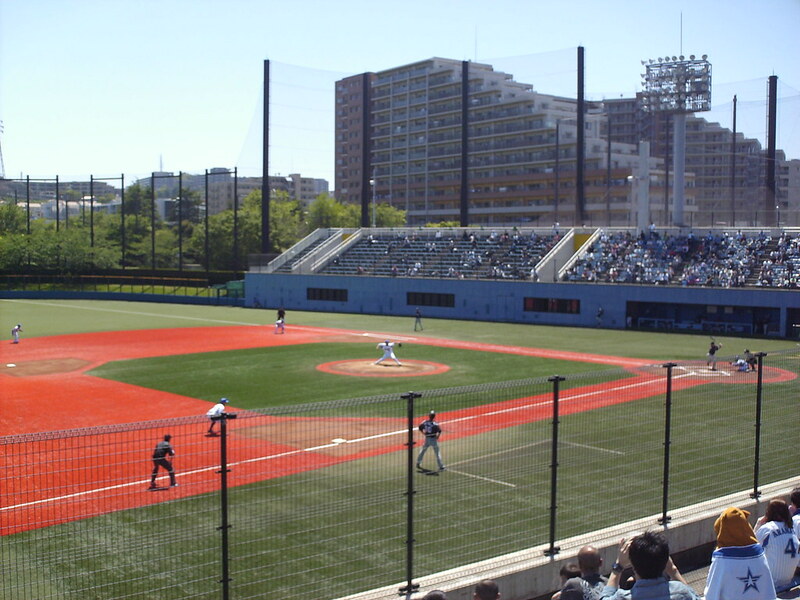 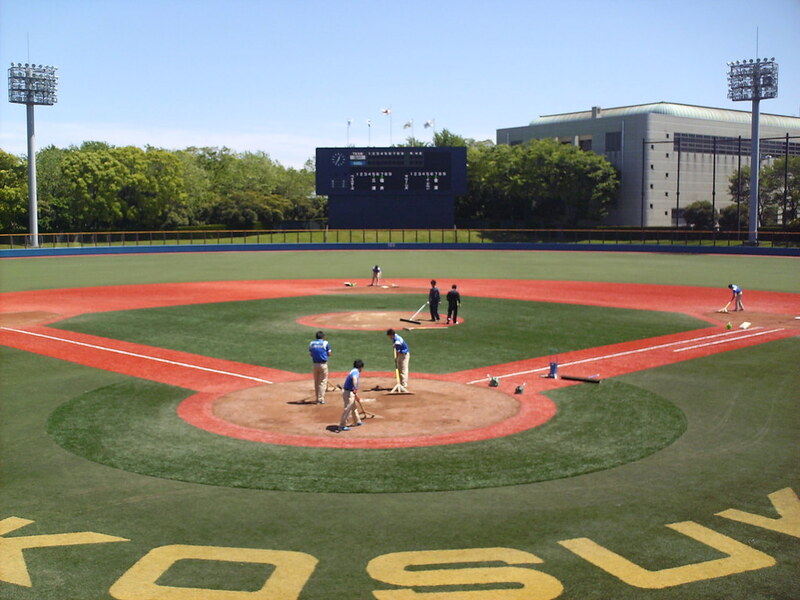 The dugouts at Yokosuka Stadium are at field level, and the park features a large amount of foul territory. 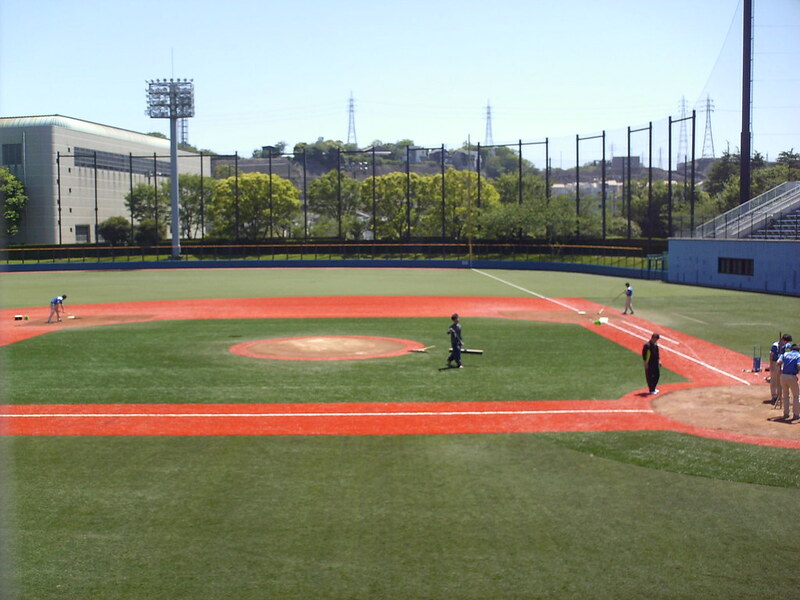 The playing field is entirely artificial turf, with dirt sliding pads around each base. 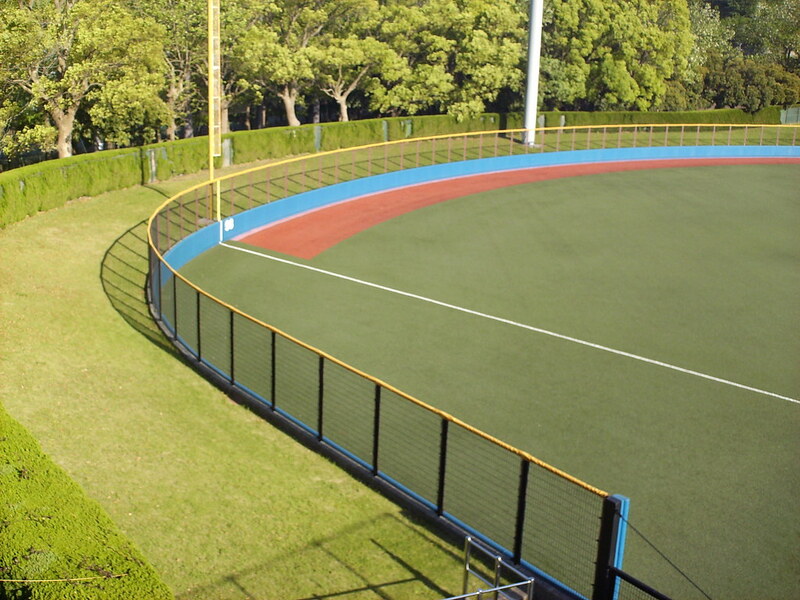 The outfield wall is a uniform curve with a turf "warning track" only in fair territory and a grass berm beyond the outfield fence. 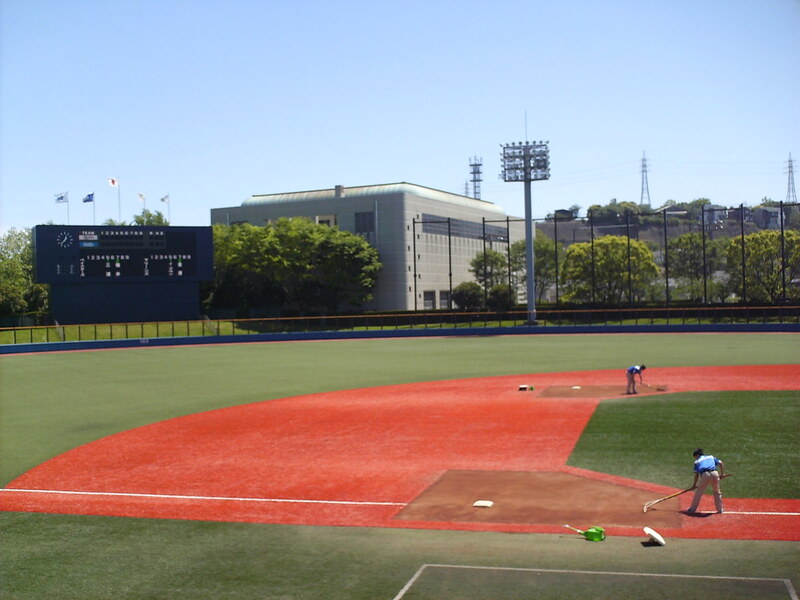 The Yokohama DeNA BayStars minor league team on the field during a game at Yokosuka Stadium. 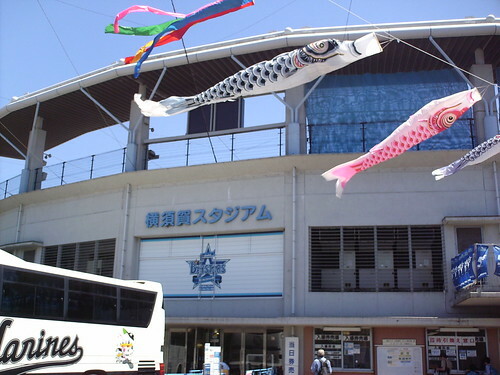 In Japan, most of the minor league teams use the same names as their parent club, even though they play in different cities.